The spillway is to the left of the dam as shown above. The tank used water from the pond formed by the dam. The flow of water was controlled to provide about 5 gallons a minute through the tank. The eggs hatched later than the eggs in our regular hatchery. The water from the stream was initially colder than the water which feeds our hatchery. The fish started to feed on their own before we started to feed them. Apparently, they were feeding on material being drawn into the tank from the pond. The fish grew faster than the fish in the hatchery. This is due to warmer water and less crowding. 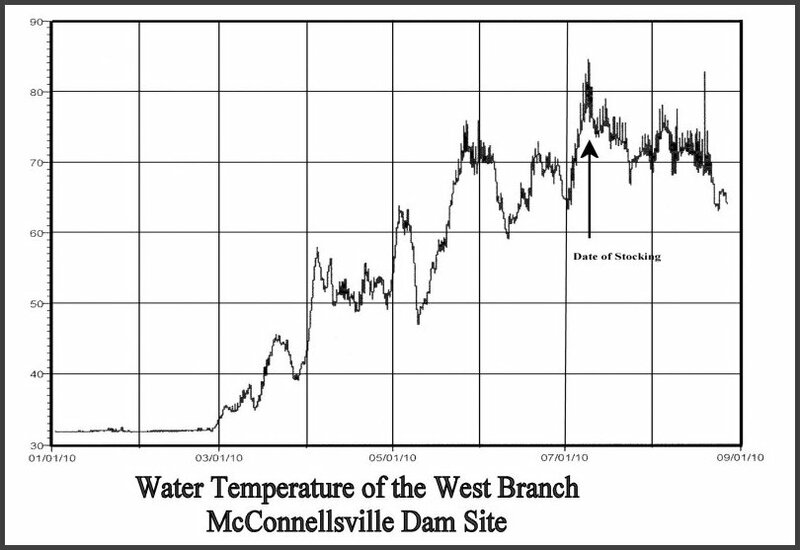 In December, 2009 a recording thermometer was placed in the water above the dam at McConnellsville. A graph of the water temperature follows. 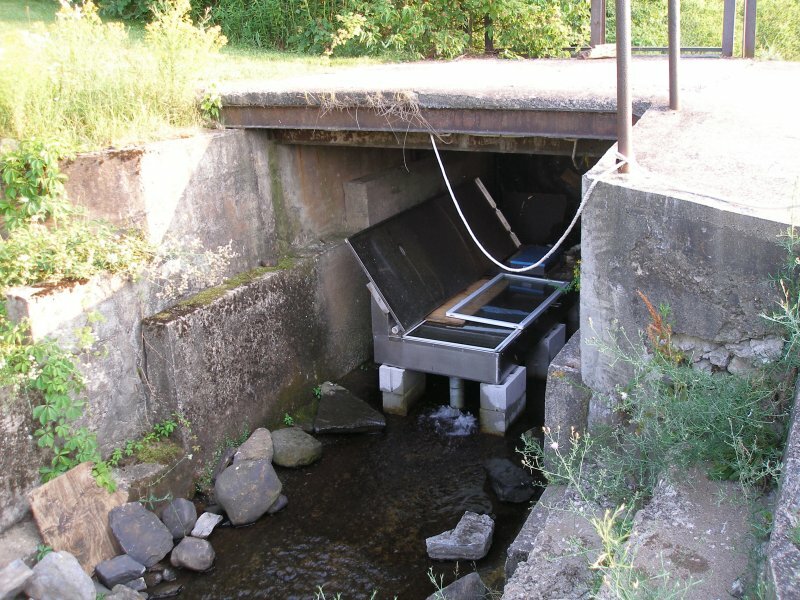 Harden Furniture, who owns the dam and the land on both sides of the West Branch is in favor of building a hatchery below the dam. It remains to be determined if we can get the required permits since the site in question is in the flood plain.